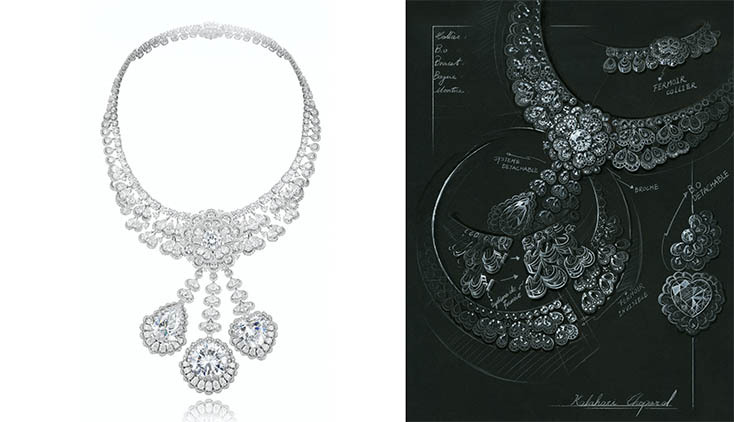 The long Garden of Kalahari diamond pendant earrings and the jewels altered into a shorter style at right. 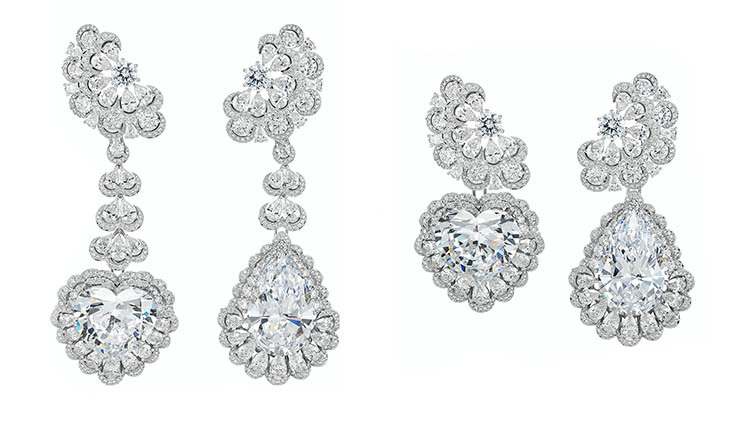 The earrings are set with two exceptional D-flawless diamonds: a 25-carat pear-shaped and a 26-carat heart-shaped diamond. 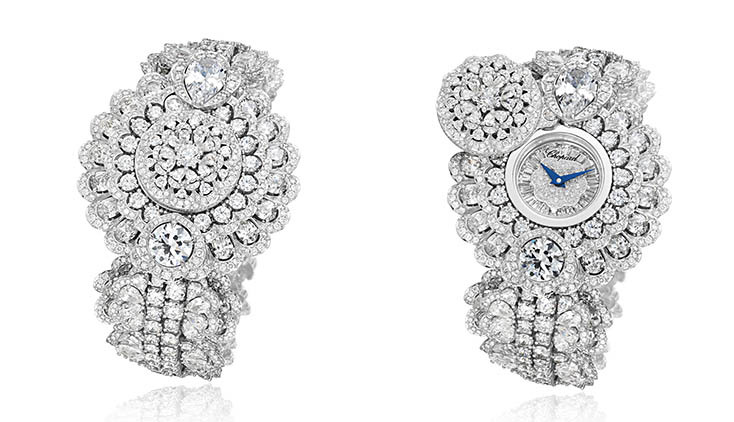 The Garden of Kalahari Secret watch shown closed and open is set with two exceptional D-flawless pear-shaped and brilliant-cut diamonds and fully set with brilliant-cut and pear-shaped diamonds. The timepiece is equipped with a Haute Horlogerie L.U.C 96.17-L caliber; micro-rotor in platinum set with diamonds. 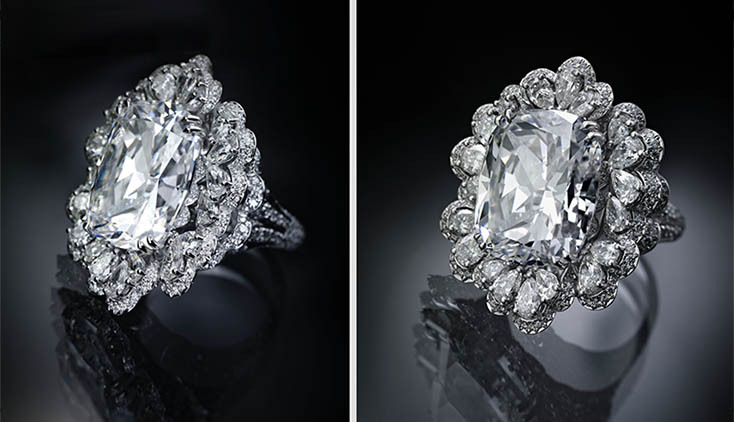 Two views of the Garden of Kalahari ring set with an exceptional D-flawless 20-carat cushion-cut diamond and fully set with 3.9-carats of brilliant-cut and 3-carats of pear-shape diamonds. 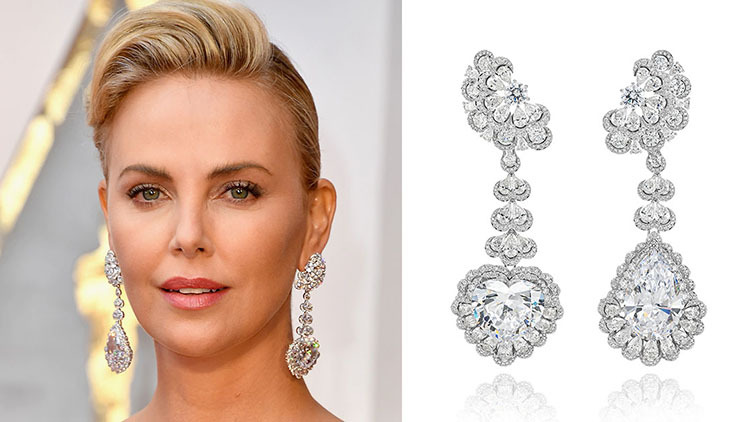 Charlize Theron is known for wearing jaw-dropping jewels on the red carpet, but she has never worn anything quite like the Chopard earrings she put on for the 2017 Oscars. The eye popping earrings became the first question from every reporter and caused a sensation on social media. Personally, I needed to know more—much more about the jewels. The mismatched D-Flawless diamonds in the pendants of the earrings are a 25-carat pear-shape and a 26-carat heart-shaped diamond. They came from a 342-carat piece of rough that was found in the Karowe Mine in Botswana. 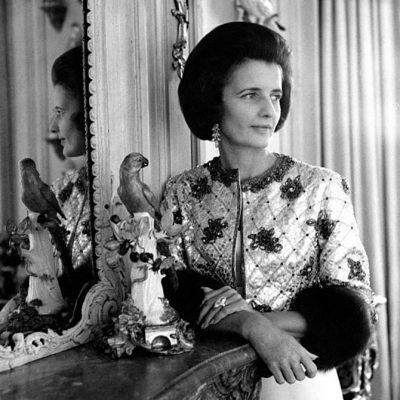 When Caroline Schedule, a co-president of Chopard, purchased the exceptional rough, she named it the Queen of Kalahari after the desert location of mine. “The energy and emotional charge emanating from this gem are truly incomparable,” explains Caroline. The Queen of Kalahari was a wish fulfilled on so many levels for the charismatic Caroline who is one of the most creative executives in jewelry. She has long dreamed of making one suite of jewels out of diamonds from one piece of rough—an exceptional High Jewelry concept. This gem was large enough to do that. It was also rated at the very highest level. 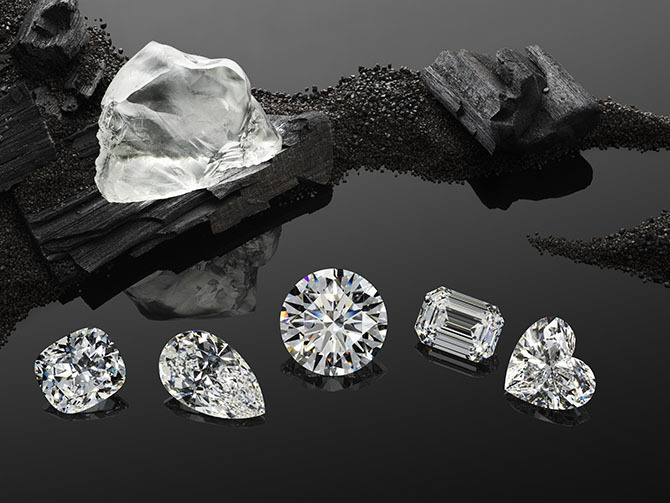 The diamond is D-color, Type IIa, certifiably flawless gem. Caroline is passionate about environmentally conscious jewelry. She has created an initiated for fair mined gold and makes sure Chopard’s diamonds are conflict free. There was real joy for her in being able to trace the Queen of Kalahari to the exact point of origin in such a personal manner. Caroline knew everything about the stone was special and had her partner, filmmaker Alexis Veller, create a documentary about the diamond from the discovery point to jewel. The Karowe Mine in Botswana and Tekolo Sethebe are featured in the film. 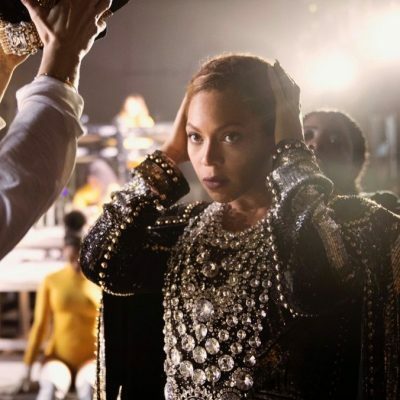 While the price of the rough has been guesstimated at around $50-million, Chopard will not reveal the value of the suite or any one of the jewels, no matter how many journalists and the members of the public asked on Oscar night. One thing is for sure, the story of the Queen of Kalahari is priceless.